Portland Comic Con 2015 Starts Tomorrow! 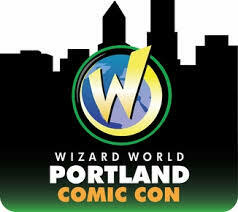 Portland Comic Con (AKA Wizard World Portland) returns for its third consecutive year to the Portland Convention Center January 23-25. Much like the last two conventions, the 2015 show is stacked with exhibitors, panels, and a plethora of movie, TV, and wrestling celebs such as Bruce Campbell (“Evil Dead” trilogy), Karl Urban (“Star Trek”), Alan Tudyk (“Firefly”), Stephen Amell (“Arrow”), Katee Sackhoff (“Battlestar Galactica”), Michael Rooker (“Guardians of the Galaxy” and “The Walking Dead”), and Daniel Bryan. Of course, there’s plenty of major comic book creators and artists such as Kurt Busiek, Chris Claremont, Joelle Jones, and Neal Adams.